In March of 1967, according to the Italian newspaper Paese Sera, Permindex was said to have been CIA front for the purposes of political espionage in Europe, including claims that the company took part in an attempted assassination on the French Prime Minister Charles de Gualle alongside the extremist French group OAS in 1961. There were some 30 attempts on de Gaulle’s life in the early 1960’s, which many believe was linked to him granting Algeria independence. In 1966, de Gaulle also bucked the established order by withdrawing France from the NATO Military Command Structure. In 1958, after the inception of Permindex, Shaw, along with Cobb and other banking and trade insiders, including David Rockefeller, created a Permindex subsidiary in Rome known as Centro Mondaiale Commerciale (CMC). Permindex/CMC, were later kicked out of Italy due to implications that the CIA front organizations were involved in the subversion of European governments. 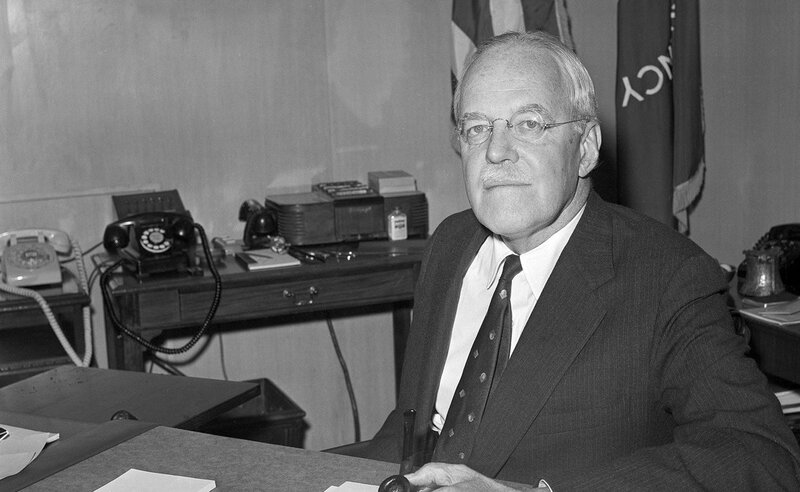 Adding to that, Mellen explained in her book mentioned above, that the family of former CIA Director of Central Intelligence, Allen Dulles (left photo), had been very ‘interested’ in Permindex. In 2005, Dr. Daniele Ganser stated that a highly secretive CIA-backed paramilitary army was “born out of the head of Allen Dulles” in his seminal book, “NATO’s Secret Armies: Operation Gladio and Terrorism in Western Europe.” According Ganser’s research, documents revealed that the CIA’s covert armies were used to subvert the political interests of various nations through the implementation of a Cold-War era strategy of tension. As the former Swiss Director of the OSS, Dulles, had a tainted past tied to a program which sought to assimilate Nazi scientists into America after WW2 under the code name Operation Paperclip. A decade later in 1953, Dulles as head of the CIA approved $1 million dollars in the lead up to overthrow the democratically elected Prime Minister Mohammad Mosaddegh in what became known as Operation Ajax (aka the TPAJAX project). One year later, in 1954, he was the mastermind of a Guatemalan coup. In 2007, although Hunt declined direct participation, he released a 2004 controversial confession that suggested he played a ‘benchwarmer’ role in the plot to kill Kennedy. 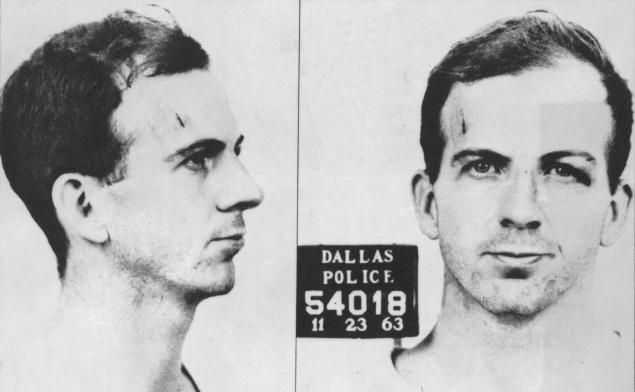 While Hunt’s apparent allegations caused quite a stir, he fingered several suspected plotters such as the anti-Castro Frank Sturgis and Cuban exile leader of Alpha 66, Antonio Veciana, a man who claims to have ‘inadvertently’ witnessed a meeting with the CIA and Lee Harvey Oswald before Kennedy’s death. While many mainstream accounts support a Fidel Castro theory in the death of Kennedy due to the apparent assassination attempts on his life, its important to note the massive CIA influence in Cuba. According to Cuban-born American historian and writer Servando Gonzalez, Castro himself had ties to the Council on Foreign Relations and was really a form of controlled opposition. Furthermore, when concerning a larger conspiracy revolving around Cuba, one should consider the political backdrop – on one hand there was the possibly designed to fail CIA-backed ‘Bay of Pigs‘ invasion which set the stage for Operation Mongoose, a clandestine program overseen by the CIA, the US State Department (DOS) and the Department of Defense (DoD). Mongoose made use of the anti-Castro Oswald-CIA-mafia-linked Ferrie, along with Cuban exiles in order to sabotage the Castro regime. Additionally, waiting in the wings was the top-secret proposal called Operation Northwoods, a particularly subversive false flag program that included plots of hijacked planes, the bombing of a US ship, a virulent communist Cuban terror campaign in US cities and manufacturing the “real or simulated” deaths of Cuban refugees. The Northwoods false flag operation drafted by the Joint Chiefs of Staff and signed off on by Chairman Lyman Lemnitzer was ultimately rejected by Kennedy. However, the declassified files related to the operation are still shocking 55 years later, as the program considered creating “funerals for mock victims,” for one of the various plots, as well as produce “casualty lists in US newspapers,” in order to “cause a helpful wave of indignation,” as another plot would reveal where “Soviet bloc incendiaries could be found,” after a night of cane-burning in Cuba. This was all said to be happening as President Kennedy was stated to have quietly been working to negotiate through ‘back channels’ with Castro. October of 1962 ushered in the ‘Cuban Missile Crisis‘ a tense escalation during the Cold War that culminated in Soviet nuclear missiles being placed in Cuba to prevent an invasion. During this time, all Mongoose related operations were halted, as US intelligence apparently failed to warn the Kennedy administration of the Soviet military aid. From this, we can view global operations like GLADIO in addition to the post-9/11 “War On Terror” security surge as a form of ‘power politics’ used to aggressively influence the foreign policy of other nations through the use of covert militarization.